South Carolina does not have traditional sources of geothermal energy typically associated with the Western United States. 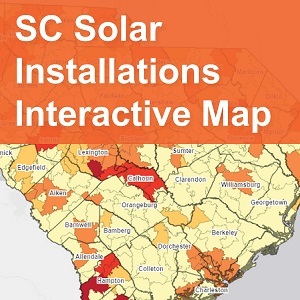 However, South Carolina can take advantage of the earth’s constant temperature to enhance the energy efficiency of traditional heating and cooling systems. If you're planning to construct a building or replace a heating and cooling system, you may want to consider a geothermal heat pump (GHP) system. A GHP system can be installed in virtually any area of the country and will save energy and money. According to the Environmental Protection Agency, GHP systems are the most energy efficient, environmentally clean, and cost-effective space conditioning systems available. While residential GHP systems are usually more expensive initially to install than other heating and cooling systems, their greater efficiency means the investment can be recouped in two to ten years. After that, energy and maintenance costs are much less than conventional heating and air-conditioning systems. When GHP systems are installed in commercial buildings, the state-of-the-art designs are extremely competitive on up-front costs when compared with cooling towers and boilers, and they have lower energy and maintenance costs. In addition to their cost effectiveness, GHP systems offer aesthetic advantages, quiet operation, free or reduced-cost hot water, improved comfort and a host of other benefits.